How to exclude the lower sampling depth from taxonomic analysis? You could see the bars only contains one order is the one only contain few counts with lower sampling depth, how to exclude them in the taxa-bar-plot? You need to filter your table. 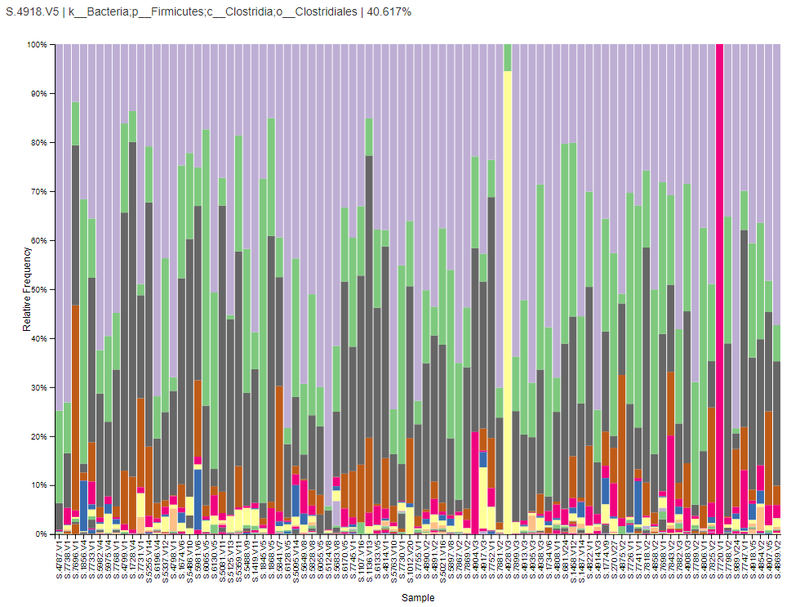 I suggest going into a feature table summary and looking at the sequencing depth distribution. I also like to check a rarefaction curve to see how much diversity I’ll capture. And then, after you figure out your filtering parameters (i.e. 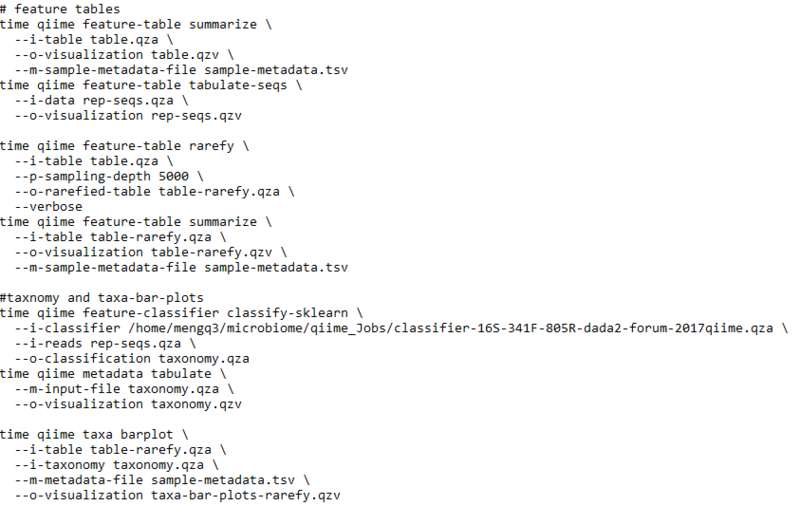 each sample needs at least 1000 seqs/sample), I would run qiime feature-table filter-table. There’s a filtering tutorial here. I tested rarefy the feature table yesterday. I am not sure it is the same thing with filter-table. The sampling depth (5000) I choose is based on the feature table. And I am not sure how to choose the parameters from the rarefaction curve. Thanks so much for the additional information! When you look at your rarefied table, have you gotten rid of the samples that have low sequencing depth? You’re right, it’s not the same as filtering your table. You want to explore qiime feature-table filter-samples to get rid of your low abundance samples and keep a matched set with your rarefied table. Thank you for your reply. The rarefy table seems already filtered all the low sequencing depth samples. However, I have no idea about the difference of two of them “feature-table-filter-samples” and the “feature-table rarefy”. Seem I am not fully understand what the rarefy table mean. I will try filter the feature table and update later. Rarefaction is subsampling without replacement to a sequencing depth. It gives you an approximately even number of sequences, so that everything is weighted. Rarefaction works in two steps. First, it removes any sample below the specified rarefaction depth. And then, it subsamples without replacement ot the specified depth. So, it will automatically filter out your low abundance samples. Rarefaction is contraversial. It’s generally recommended for diversity analysis (except q2-breakaway), because otherwise you see the difference in sequencing depth driving the observed differences in diversity. In general, even if you’re using relative abundance data, you still want to filter out low abundance samples (which you do with filter samples). This removes the samples below the specified threshhold but doesn’t alter the counts.